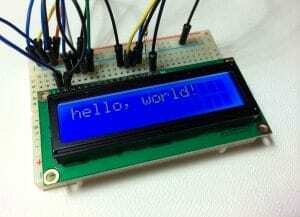 In this tutorial, I’ll explain how to set up an LCD on an Arduino and show you all the different ways you can program it. I’ll show you how to print text, scroll text, make custom characters, blink text, and position text. They’re great for any project that outputs data, and they can make your project a lot more interesting and interactive. The display I’m using is a 16×2 LCD display that I bought for about $5. You may be wondering why it’s called a 16×2 LCD. The part 16×2 means that the LCD has 2 lines, and can display 16 characters per line. Therefore, a 16×2 LCD screen can display up to 32 characters at once. It is possible to display more than 32 characters with scrolling though. The code in this article is written for LCD’s that use the standard Hitachi HD44780 driver. If your LCD has 16 pins, then it probably has the Hitachi HD44780 driver. These displays can be wired in either 4 bit mode or 8 bit mode. Wiring the LCD in 4 bit mode is usually preferred since it uses four less wires than 8 bit mode. In practice, there isn’t a noticeable difference in performance between the two modes. In this tutorial, I’ll connect the LCD in 4 bit mode. The resistor in the diagram above sets the backlight brightness. A typical value is 220 Ohms, but other values will work too. Smaller resistors will make the backlight brighter. The potentiometer is used to adjust the screen contrast. I typically use a 10K Ohm potentiometer, but other values will also work. All of the code below uses the LiquidCrystal library that comes pre-installed with the Arduino IDE. A library is a set of functions that can be easily added to a program in an abbreviated format. In order to use a library, it needs be included in the program. Line 1 in the code below does this with the command #include <LiquidCrystal.h>. When you include a library in a program, all of the code in the library gets uploaded to the Ardunio along with the code for your program. There are 19 different functions in the LiquidCrystal library available for us to use. These functions do things like change the position of the text, move text across the screen, or make the display turn on or off. What follows is a short description of each function, and how to use it in a program. The LiquidCrystal() function sets the pins the Arduino uses to connect to the LCD. 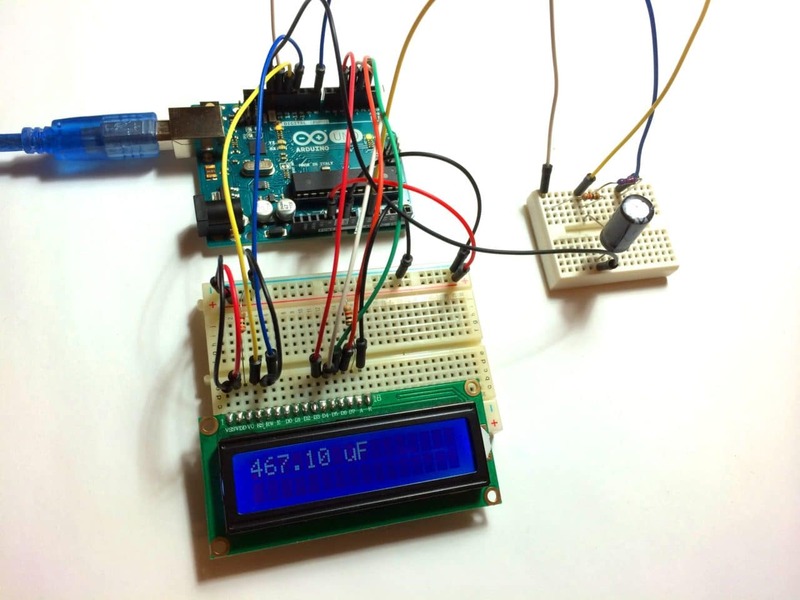 You can use any of the Arduino’s digital pins to control the LCD. Just put the Arduino pin numbers inside the parentheses in this order: LiquidCrystal(RS, E, D4, D5, D6, D7). RS, E, D4, D5, D6, D7 are the LCD pins. 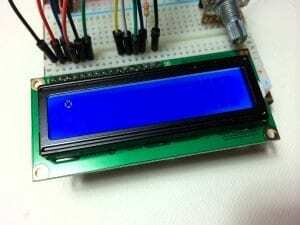 For example, say you want LCD pin D7 to connect to Arduino pin 12. Just put “12” in place of D7 in the function like this: LiquidCrystal(RS, E, D4, D5, D6, 12). This function needs to be placed before the void setup() section of the program. This function sets the dimensions of the LCD. It needs to be placed before any other LiquidCrystal function in the void setup() section of the program. The number of rows and columns are specified as lcd.begin(columns, rows). For a 16×2 LCD, you would use lcd.begin(16, 2), and for a 20×4 LCD you would use lcd.begin(20, 4). Similar, but more useful than lcd.home() is lcd.setCursor(). This function places the cursor (and any printed text) at any position on the screen. It can be used in the void setup() or void loop() section of your program. You can use this function to write different types of data to the LCD, for example the reading from a temperature sensor, or the coordinates from a GPS module. You can also use it to print custom characters that you create yourself (more on this below). Use lcd.write() in the void setup() or void loop() section of your program. This function is used to print text to the LCD. It can be used in the void setup() section or the void loop() section of the program. To print letters and words, place quotation marks (” “) around the text. 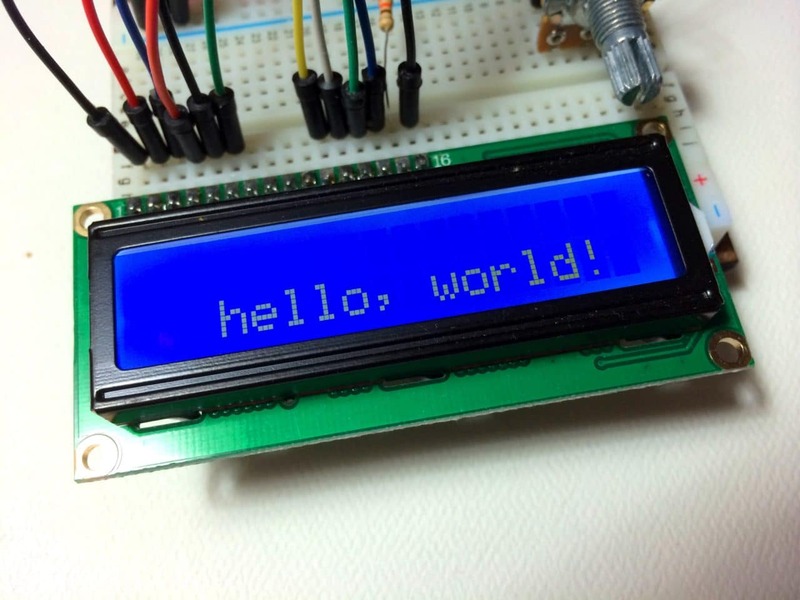 For example, to print hello, world!, use lcd.print(“hello, world!”). To print numbers, no quotation marks are necessary. For example, to print 123456789, use lcd.print(123456789). This function creates a visible cursor. The cursor is a horizontal line placed below the next character to be printed to the LCD. This function creates a block style cursor that blinks on and off at approximately 500 milliseconds per cycle. Use it in the void loop() section. The function lcd.noBlink() disables the blinking block cursor. 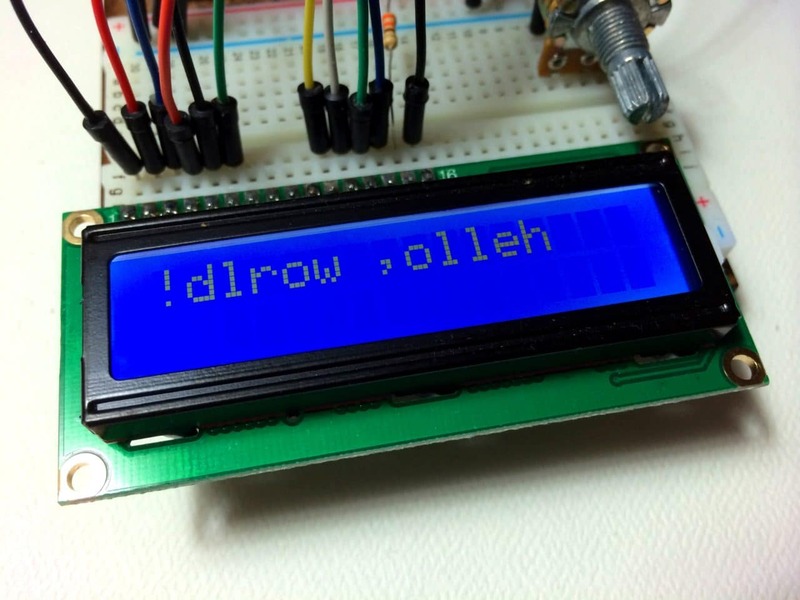 This function turns on any text or cursors that have been printed to the LCD screen. The function lcd.noDisplay() turns off any text or cursors printed to the LCD, without clearing it from the LCD’s memory. Text strings longer than 40 spaces will be printed to line 1 after the 40th position, while the start of the string will continue printing to line 0. This function behaves like lcd.scrollDisplayLeft(), but moves the text to the right. Like the lcd.scrollDisplay() functions, the text can be up to 40 characters in length before repeating. At first glance, this function seems less useful than the lcd.scrollDisplay() functions, but it can be very useful for creating animations with custom characters. lcd.noAutoscroll() turns the lcd.autoscroll() function off. Use this function before or after lcd.autoscroll() in the void loop() section to create sequences of scrolling text or animations. This code prints the “hello, world!” text as “!dlrow ,olleh”. Unless you specify the placement of the cursor with lcd.setCursor(), the text will print from the (0, 1) position and only the first character of the string will be visible. There are a lot of cool things you can make happen with these 16×2 LCDs! Try combining some of these functions and see what happens. If you found this article useful, subscribe via email to get notified when we publish of new posts! And as always, if you are having trouble with anything, just leave a comment and I’ll try to help you out. how do I make two custom characters? I hear your post and I’ll raise one other. 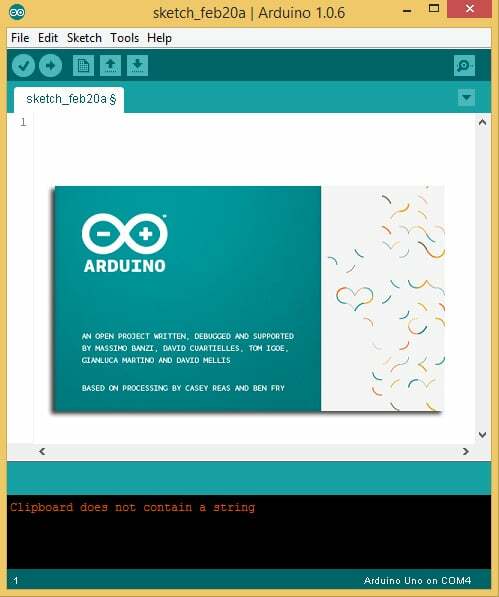 This topic was discussed in Arduino forums. Specifically the forum post, in 2012, talked about how lcd.print() and lcd.write() functions are different. In fact, without going into too much detail, the print function evetually calls the write function. It’s nice for the hobbyist to tinker. It allows the learning process to grow. So, while I was reading the post, participants replied with differing ideas. One poster tried making the characters move in animation. Copying and pasting the code, I believe the poster was having trouble with developing the animation. As it turns out I discovered where he was having the problem. In the loop section of the code the poster didn’t clear the screen to print, or write, the other characters. The following is the fix to have animated characters on the lcd. Ako je to možné že Vám to tak lahko programuje mne to neprijíma.Poradte mi prečo?Mal by som vela otázok som zaťiatoťník. Thank you! I’ve needed detail like this for a while. I have a project for work that I wanted to use my LCD display for, but didn’t know how to use it. I’m in the process of writing a post about this right now. Will let you know when it’s finished! How can I print on two lines at once? I figured out how to set the cursor when I need it to begin at a certain point but, now I need two lines. Any help is appreciated. Sorry, the first line should say # include LiquidCrystal…..
yo! How can you display a data log output in LCD that is too many that a 16×2 cant handle? I like this tutorial alot, there is just one problem, for some reason, when i connect my lcd screen, it blinks off and on, and sometimes it doesen’t even make a light, and then the 5v and ground pins start smoking and melting the plastic, i really need some help on this, please e-mail me if you can. Thanks a lot..!! It’s a great tutorial. I am quite new to this,never used LCD and arduino before. I want that one text should be displayed on LCD when I send ‘1’ as serial data to arduino and display some other text if I send ‘2’ as serial data.But when I put Serial.begin(),some strange characters are displayed on LCD.I know the problem is with Serial.begin. I tried it,but it displays both texts simultaneously . I would be extremely thankful if I can get some useful suggestions to solve my problem. My screen turns on but I can’t get words to show. I cannot display the words…but the LCD was on…why? Have you tried adjusting the screen contrast? If that’s not it, make sure the connections are right for your LCD. 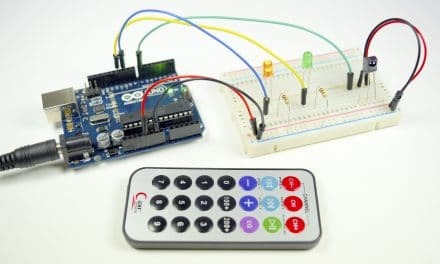 The RS pin should connect to Arduino pin 12, and the E pin should connect to Arduino pin 11..
Are you getting anything to display on the screen? I hope you make more great tutorials! does some one have a load-cell code ??? Can you send me the theoretical circuit diagram for this kind of connection?? 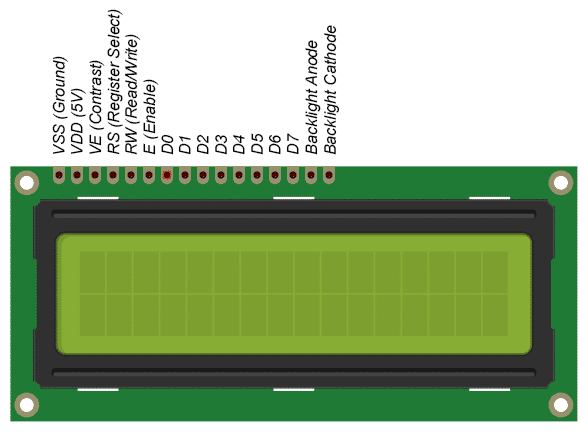 I’m using an elegoo board, which should be the same as an arduino board but its not allowing me to write things it just fills up all of the pixels on the first row. What version of Arduino should I use? I am on windows, should I use an older version? What kind of backwards language puts the exclamation point at the beginning of a sentence? sir can you gibe me code for push button down counter from 500 to 000 manual button pressed and countdown should star again from 500 . when count down reached to 000 reset to 500. how to write butter pressed count down display please. hello, how about to write codes on OLED 7pins? I’m doing on a project like that. It will be a big help if you reply me. thank you also for this LCD. Hi, can i get the full program for display the current time as well as the number of taken food parallel with the fixed time? hello. 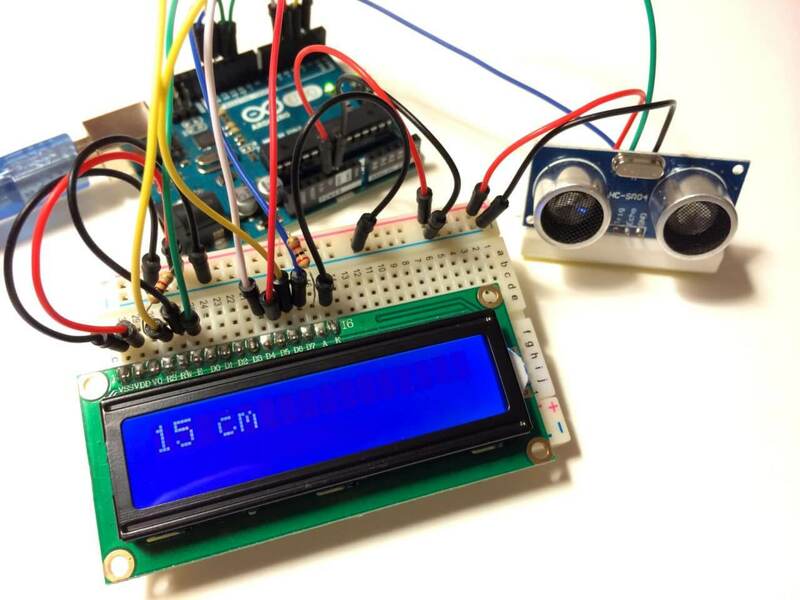 how can i print speed of a dc motor on this lcd using arduino and encoder? Hey, can we control individual pixels? I’m trying to use this as a spectrum analyzer and would need more resolution than only 2 rows :/ Thanks!! Hello, Nice explained and it is true that with this simple Lcd 2×16 there is a lot of funy and interesting possibilities for creating animated or expressive message or value of sensors. With 4×20, than the possibilities increases but optimisation of simplicity is for me the best and nicesest way to print outvjust what is necesary in clear style. I discovered this while making a specific gravity meter using a load cell and the HX711 load cell amplifier with a 20 x 4 LCD display and I needed some control over the displayed precision. re my email address: note that it should be all lower case; your email address field changes it to upper case. If you want to run one of these LCDs with an ESP8266 type controller that runs on 3.3v, you’ll find that there isn’t enough deltaV between +V and the contrast pin to get a clear display. Biasing it with a negatice voltage will do the trick. I inserted a battery between ground and the “negative” side of the pot and now get good contrast with about -0.9 v on the contrast pin. BTW, with my Arduino IDE (with 2.3.0 core), I needed 0.1.13 of the DHT lib. Thanks for the fine tutorial! In the LCD, it is displaying cursor and blinking functions but the text entered in the lcd.print is not being displayed. non of the program is not working.